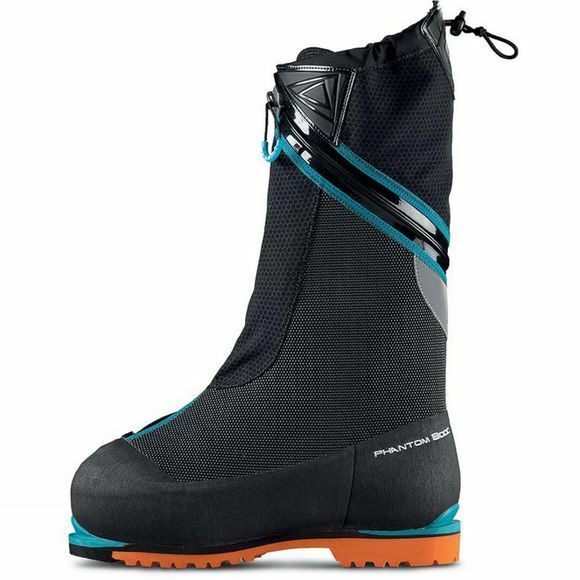 New for 2016 the Phantom 8000 by Scarpa is the warmest, lightest, most sensitive high-altitude boot they make. Hand-crafted by artisans who live, work, and play in the mountains. It's the far end of extreme for sure, and it's a pleasure to see just how far their bootmakers can take a model like the Phantom 8000. A reconfigured, Flexseal® waterproof zipper seals out the weather. Reflective aluminum in the footbed with Cocona® for moisture management and no-stink performance on long expeditions. 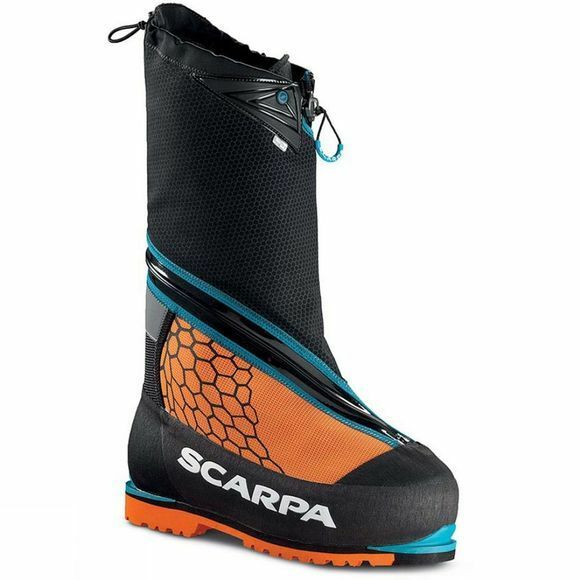 Scarpa build in warmth with a multi-layer removable inner boot of EVA, Primaloft 600 and an aluminum film. The integrated gaiter features Schoeller®, Cordura®, and Kevlar® materials to deliver the perfect blend of flex and protection. Nearly a century of experience goes into making the best boot for the harshest environments on the planet.